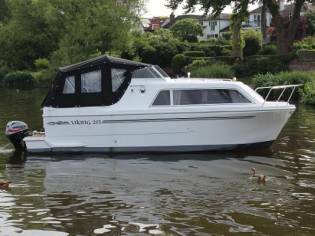 The Viking 24 is the best selling model from Viking mouldings, featuring 4 berth family accommodation with an excellent cockpit featuring a semi circular aft seat which converts to a further double berth or sun bed with a centrally located table. 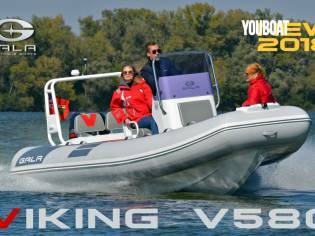 This Viking 24 is fitted with a 30hp Suzuki outboard motor, or a 15hp can be specified to reduce costs. The inside of the Viking 24 deals chairing for four easily with a minimum headroom of 6'03''. The compartment is laid out with a large circular chairing area forward which easily converts into a good dimensionsd double dock using the circular dining desk. To seaport aft of this is a cupboard where the optional refigerator can be located. Opposite and to starboard is the galley with stowage beneath the worktops. The sink and hob is tailored with a flush fitting fold down glass cover. Opposite the galley the toilet room has a cassette flush toilet, shower and foldaway sink. Aft is a full height wardrobe and beneath the cockpit platform a generous double dock being 7' in range with an opening window to the cockpit. Aft again a large stowage safe for support or other useful items. The cockpit special the helm to seaport with direction via a cable to the outboard, single lever engine controls and ancillary switches. A double helm chair with stowage below is to seaport with further chairing aft in a "U" shape design offering the flexibility to convert to a sun cot or further double dock tailored with a centrally located desk. 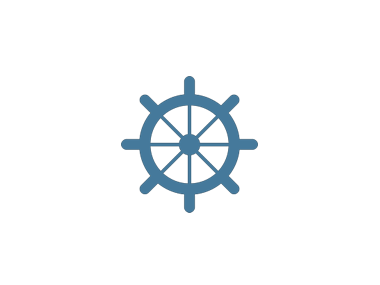 Access to the seaport and starboard decks are via a step which is beneath the chair cushion. 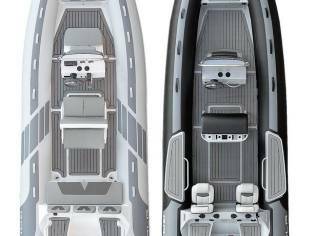 The gasoline, fuel and charger safes are located beneath the stern chair. 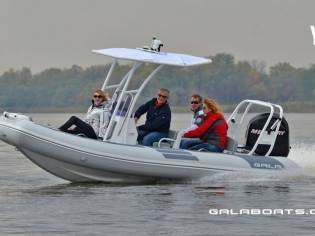 The Viking 24 is fully hand moulded featuring a gel coat exterior strengthened by chopped strand matt. All exterior fittings are in stainless steel and the vessel has side decks of approximately 8" in width, sturdy handrails are located on the compartment top and the front is surrounded by a stainless steel pulpit. The cockpit screens are stylishly curved and are removable for direction beneath the lowest of bridges. 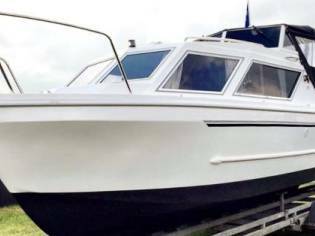 The Hi Line specification of a Viking includes; Oven and grill, hot and chilly water, shower and fold down sink, cassette flush toilet and antifouling. It is to purchasers choice to order an Hi Line or the basic craft which retails at £3000 less without these special. 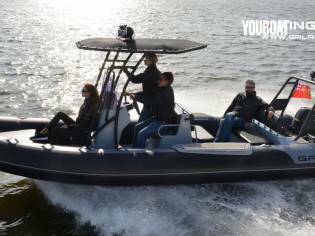 All craft manufactured by Viking Mouldings can be tailored with further options customising each vessel to individual tastes including such items as compartment heating, front thruster, sea toilet, radio CD stereo. A full list is available upon request. All Viking models are outboard powered. 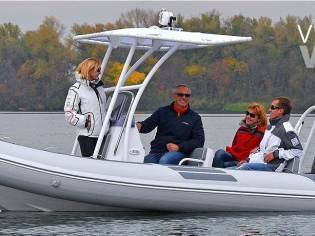 As basic prices are quoted with Mariner outboard models, we can offer prices for any outboard to purchasers choice and dimensions depending on individual preferences and planned location of cruising. 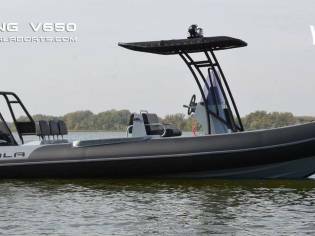 Viking 24 is the make and model of this cruiser of 7,30m of length and 2.5m of beam. The sale price is 69.349€ and you can see it in Berkshire (United Kingdom).